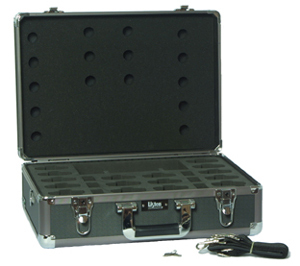 System or receiver carry case includes pluckable foam compartments to hold your hearing assistance or tour guide equipment securely. Aluminium construction with a combination lock. Interior measures approximately 12" x 17" x 3". 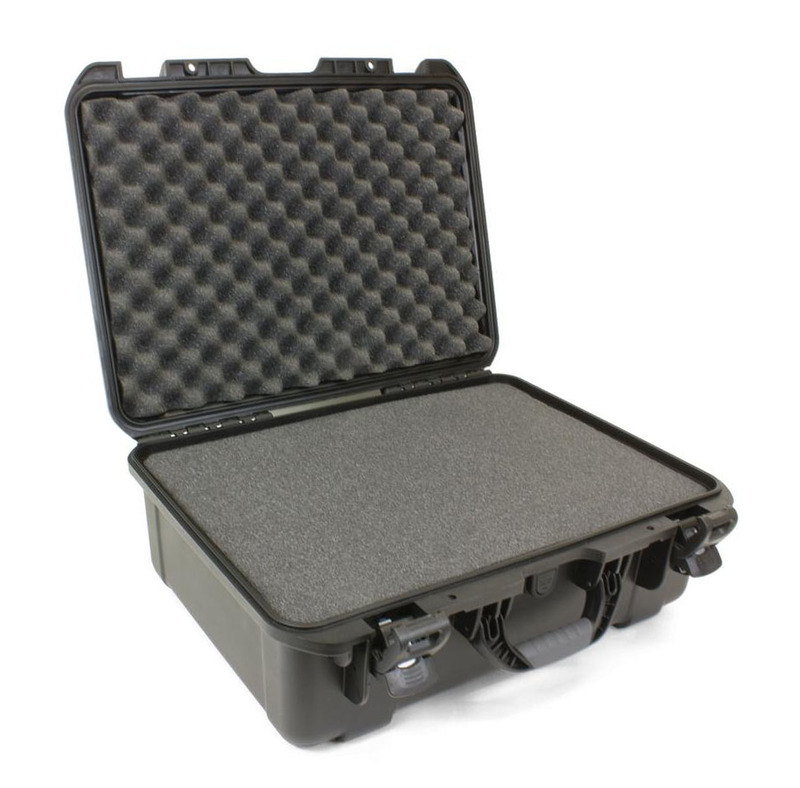 Replacement foam set for BC011 case. 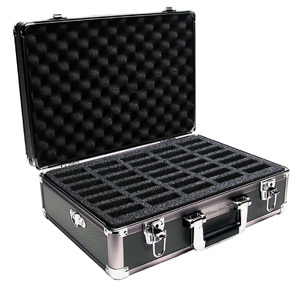 Large heavy-duty carry case with pluck foam. For receivers, transmitters and accessory storage. Holds up to 48 receivers. Measures 21 1/2" x 17 1/2" x 8 1/2". 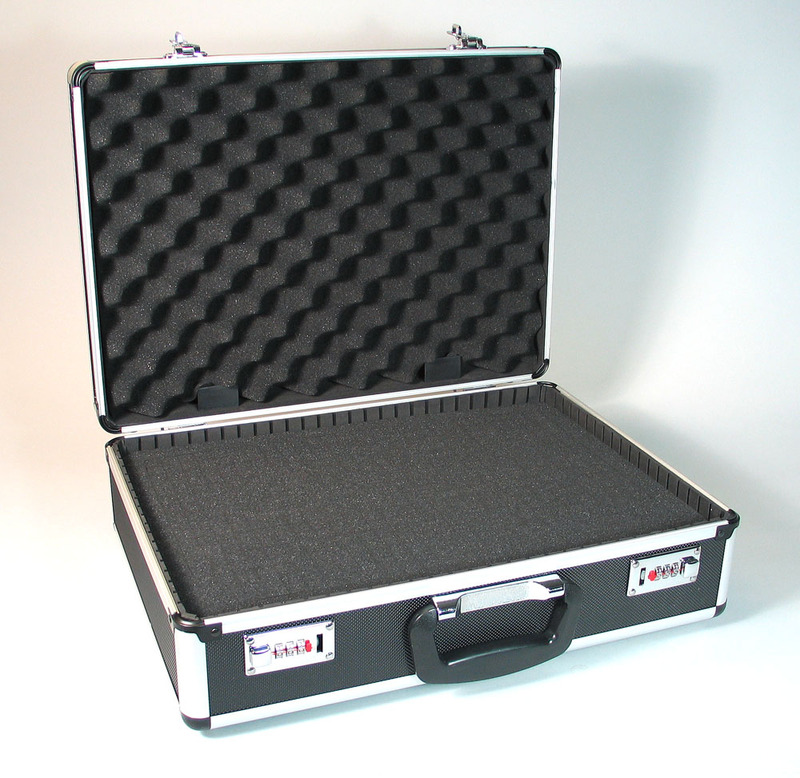 Smaller heavy-duty carry case with pluck foam. For receivers and accessory storage. Includes shoulder strap. Measures 14" x 11" x 6". 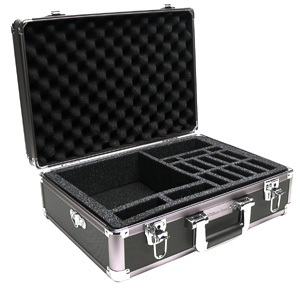 This hard case features adjustable interior partitions, allowing you to store combinations of stationary transmitters, receivers, and accessories. Its sturdy case has durable latches and includes a shoulder strap for easy transport. The case also has a locking system for product security. 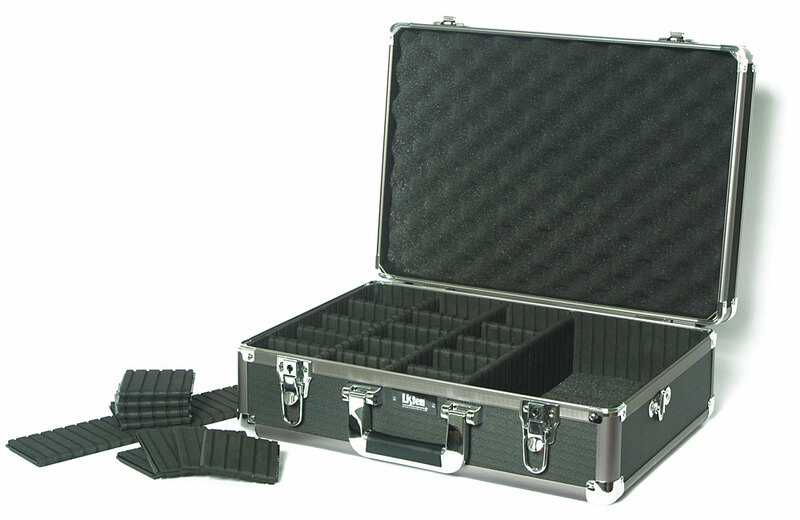 This 16-unit carrying case is designed to store up to 16 portable Listen FM products (LT-700, LR-300, LR-400 or LR-500). In addition to slots for each unit, the case also has two large pockets to store earphones (prevents tangling) and other items. 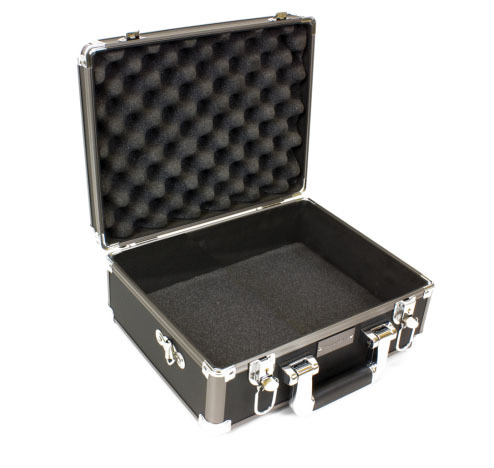 The sleek, sturdy case has durable latches and includes a shoulder strap for easy transport.